Dating from a time when the single earth Goddess Hera ruled the hearts and minds of the people. The underworld of mythology… or underworld of frightening reality? Can this be Hell – Hades – The Netherworld – or the Underworld? You decide. Whatever it was called, the tunnel system at Baia certainly exists and shows all the signs of being a ritual centre. For many centuries it operated, until it was deliberately put out of use. Did a senatorial decree from Rome outlaw the cult operating here, or was it closed on the orders of General Agrippa? Let this website take you to a place tucked away in the North West corner of the bay of Naples, Italy. Here lies the Terme di Baia where a curious set of buildings is set against a volcanic cliff. Hidden behind them, deep underground, there is a labyrinth of ancient tunnels and chambers dating back 2,500 years, carved out of solid volcanic rock. Is this the way to hell discovered by Dr. Robert Ferrand Paget in 1962? The site has never been officially explored by archaeologists. Much of it was deliberately filled with earth in Roman times. This website is an attempt to pull together all the information that is currently known about this place, in the hope that one day the soil might be removed and an official investigation be made. Those of involved with this website hope that you will use the top menu to read and enjoy what has been pieced together so far. 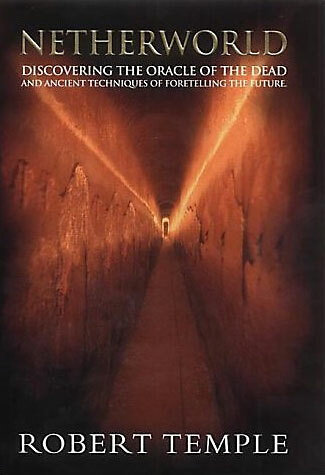 This short video extract is from a 2001 documentary made by Robert Temple after the publication of his book ‘Netherworld‘, in which he describes the 20 years he spent trying to gain official access to the tunnels. thanks for this amazing work and visualization of the description of Paget, Temple. With the old drawings it is difficult to locate all that, so I’m glad to have found your great and informative website. I’m a student of classical archeology and ancient history and writing my master thesis about the oracles of the dead. I would like to use some of your photos with your Copyright in my essay, of course no publication. Please let me know if that would be possible. Hi John, I was just wondering if there is a possibilty of accessing the 3d model that is shown for the 3d tunnels? I play around with virtual reality environments and it would be great to try to use this as a basis to work from. I don’t currently have a 3D model of the complex for general circulation. My model was pieced together from information in Dr Paget’s book and information from people local to the site. I can say that there are number of errors in Dr Paget’s book, which will be rectified in future. Hi, Is there anybody around to answer questions? Thank you for the link, John. I am in contact with the authors Graziano, Raffaella and Ivana, as well as another member of the speleological organisation who knew the discoverer of the tunnels personally. I am well aware of research in recent years into the tunnels. There is much that has yet to be published. thank you so much for your great site, offering such wonderful impressions. I visited the site last year. Mid octobre I´ll have a presentation (together with a publication later on) for a voluntary archaeological association in german and would really like to get in touch with you on a personal level. Could you offer me a personal line? Hello – I would love to get in touch as I am writing an article about the Oracle. Perhaps you could drop me a line in reply? I emailed you but had no reply back – maybe check your spam bin. I’m so happy to find this website as we lived in Baia during January-March in 1977 and I have never forgotten our time there. Our step-father worked for Honeywell and we had just spent the last six months in Germany. We came to Naples and after two trying hotel stays in town, we ended up at what was then called the Del Tedesco hotel in Baia. I was 14 and my brother was 10. Having grown up mostly in Florida with a maritime historian grandfather, we were already keen on all things historic. We were quite happy to be able to explore WW II bunkers or Greco-Roman baths mere minutes from our hotel! One of our fellow American teen students told us about an “entrance to hell” tunnel in the Baia baths, and although we had already been there a handful of times, we had missed the drop down to this particular passageway. As I recall, four of us went there that day, but only two went in the tunnel. First thing we noticed was a lot of what we called “spider crickets” on the walls. And as we went in deeper, the air became warmer and more humid. We kept going though, only stopping when we got to stairs leading down into water. I’ve long been a cave diver back here in my home state of Florida, (as an adult), and I can’t tell you how many times I’ve dreamt of going back to dive beyond those stairs in Baia as well as out in the bay. Since finding this site, I have bought Robert Temple’s book and thoroughly enjoyed reading it as well as viewing the documentary a number of times. I was also able to find and buy Doc Paget’s book as well as Peter Knight’s and Michael Baigent. I was just so happy to finally be able to find something about this unique site — and so nicely covered here with this website. Funny enough, I am a professional photographer that works in the film and television industry shooting publicity stills. I’ve worked on “The Walking Dead” for the past seven years/seasons, in addition to my underwater photography. I’ve had the opportunity to collaborate with individuals who have had shows on The History Channel as well as documentaries on PBS, etc. I’ve mentioned this site to a few of them. Here’s hoping I’ll go back to Baia some day…. Hi, I’m Cristiano from Pozzuoli, and I’ve opened a website about Campi Flegrei history and archaeology. I would be pleased to make an article (in italian) about doc Paget’s works in Baia, more or less a summarized version, linking to this website for further details. Let me know if it’s possibile, of course by mentioning everything and everyone. Thank you! Hi Cristiano, yes I will be happy for you to translate. I will reply to your email address directly. Nice site, all untrue of course. Good fun, but a hoax is a hoax. Note the complete silence by professional scholars of antiquity (among whom ‘Doc’ was not one). How far back are you going into antiquity? Are you disregarding the classical writers of antiquity? Traditionally the site of the Oracle of the Dead was on the banks of Lake Avernus just a few miles/kilometres away, but the feature still standing there today is nothing but Roman. It is referred to as the pseudo grotto. The site was still buried until the mid-1950s, so before that date no professional scholars of antiquity would know of its existence at the location at Baia, apart from the many historical references to an Oracle of the Dead in the region. Amedeo Maiuri excavated the site but access to the tunnels was forbidden by him for fear of noxious volcanic gases. For many years a gate was in place across the entrance, the wooden side bars where this was located are still attached to the wall. Doc Paget overstepped the mark with some of his personal conclusions and his drawings are wrong in some cases, but in main substance correct. The tunnels cannot be a hoax in the sense that they surely do exist and that they have not been made up with the purpose to deceive. Whoever dug the tunnels and for whatever reason they exist, this is a monumental effort which was surely not a trivial undertaking. As a feat of ancient mining and engineering and man-made internal water course it deserves respect for that reason alone. I started this website precisely to open up debate and investigation into this extraordinary place. There is much work remaining to be done at Baia, such as removing all the soil inside there, opening up the bricked up sanctuary, investigating certain other tunnels that have been found. We await further progress, but it is unlikely to happen within our lifetimes. I grew up partly in the Naples area. Read Paget’s book in the 1970s. It was much as has been described before, there was no trace of noxious gas and what struck me as I made the descent was firstly the large number of niches for lamps spaced at approx 6 foot intervals and secondly how much effort had gone in to not only digging it out (each basket of earth would have to be passed back along a line of workers somehow), but the fact that Agrippa had the whole thing filled up again to hide it. What was he afraid of? Why was it neccesary to go to the lengths that Paget describes? The amazing thing is to find the water at such a distance in. Although I had read about it, it was still a shock to finally come to it. It was there at the water that I turned back as the going from that point was a lot tougher and the air was very hot and muggy and relatively breathless. It was an experience that I will never forget. My mother moved to Baia during WW2. She lived along the main road opposite what was then the ammunitions factory. During air raids they used to go into the hillside behind & hide in caves. Wonder if these were connected? Sadly she died last Novemeber at 86yrs old so we can’t ask her anything else about her experiences. I do know that she used to love swimming over the roman ruins in the sea. I met Dr. Paget in the fall of 1970 when he had contacted one of the AFSouth SubAqua Club members to verify the location of some submerged pilae near Bacoli. He had some interesting theories. During my years as a volunteer diver with the amateur group G.A.N., we were once asked to assist the group in the exploration of a nearby tunnel system that was adjacent to the road in Lucrino since they lacked any breathing apparatus that would allow them to safely traverse the tunnels without suffering from the effects of any gases that were present. We cheerfully complied, but as a precautionary measure we each wore our scuba tank and regulator requiring only one removal to get through a tight restriction. A closed circuit oxygen rebreather would have certainly been a more comfortable choice than the heavy steel scuba tank, but we didn’t have any with us at the time. On one wall near the entrance, there was an inscription attributing the construction of the tunnel to the emperor Hadrian. Most of the inscription was crumbling which required repeated attempts with different lighting angles to properly photograph. There were heavy deposits of sulphur crystals that obscured much of the inscription chiseled into the stone wall. A subsequent excursion was made by the team using aluminum foil to make a non-destructive “cast” of sorts to fully decipher the text. Half way down the tunnel we encountered a short section of aqueduct specus (mix of flat red tile for the pointed arch and walls of opus reticulatum only 1 meter in height) that is found in acqueduct structures but it seemed odd to find it embedded in this dry section of carved rock. Beyond this restriction the tunnel ceiling extended ahead while the floor sloped downward with deep sifted dirt on the floor that ended in a flooded section approximately 5 meters across. The water was less than a meter in depth and almost a bright yellow in color. There was a strong hydrogen sulfide odor that encouraged us to keep using our regulators. We wedged ourselves between the narrow walls to cross to the opposite side without getting our feet wet. There the floor rose again at a steep angle coming back up to the top of the ceiling where the walking height section of the tunnel ended abruptly with a left turn. It only extended another 3 meters or so with visible traces of the last stone cutting tools’ marks in the dead end wall of the tunnel. We didn’t take accurate measurements on that exploratory trip, but I believe the section of tunnel that we were in was only about 60 meters long. The high level of humidity in the tunnel fogged the filters and lenses of our cameras, including the underwater Nikonos I had brought with me so that we were unable to get any footage of the most interesting portions of the tunnel. The only pictures we were able to get were those of the inscription near the entrance which had plenty of outside air and normal humidity levels. In my return visits to the area in 1998, 2004, 2006 and 2012, I was unable to locate the entrance to this tunnel but I have often wondered what this incomplete project was intended for.Some of the residential properties in the surrounding hills that I have been in were built upon older ruins which have tunnels underneath them, some of which now are used as wine cellars or storage. It would be interesting to explore and map them all to gain a comprehensive view of the complete underground network in this area. I visited the site in 1998 and attempted to enter, but couldn’t climb down. Later, I met a man who participated in the original exploration. He said it was a good thing I didn’t go in, since the original method of circulating air in the cave no longer works and there had been a build-up of sulfuric gas, i.e. I probably would have died without breathing gear. Robert Temple, Michael Baigent, their two wives, two official minders and at least one district archaeologist went down there in 2001 and were quite able to breath unaided, deep down at the River Styx. It is not pleasant, but quite breathable. The story of noxious gas in the tunnels has persisted since it was first opened, probably coming originally from Amedeo Maiuri, who forbade his workmen to venture into the tunnel very far on the grounds of noxious gases. When first opened the general temperature, certainly down at the River Styx, was a lot hotter than it is today. When Paget entered in the 1960s he could see where the excavators’ footprints ended, a short way in. Noxious gas still remains as the official excuse for discouraging people from entering. If you had written for official permission to enter it would probably have been denied for this reason. It could well be dangerous down there for other reasons, such as burial by the soil that now fills parts of the tunnels, deliberately put there by the Romans to seal the place off. Temple and Baigent have been any denied further official access, in spite of repeated requests. The powers that be don’t want anyone going in there. Any miner will tell you that it is not possible to ventilate an underground system unless you have one entrance for new air to come in and one for the old air to go out of. Yet this place has just one that we know about, worked by sucking cool new air in along the floor while stale hot air went overhead. There was an inner circulation system that worked before the Romans blocked off the passage to the sanctuary. The hottest air is at the lowest point of the complex. This rose up to sanctuary level, and then further up into a tunnel that met at the 400′ point. From here it went out along the ceiling of the main entrance tunnel. The Romans blocked off the sanctuary tunnel and it remains blocked today. In spite of this it is possible to breathe in there. The tunnels have a lot less height today, through crystalline deposits settling on the floor to the depth of about 2′ 6″, 0.75 metres. Went down into the oracle in 1970. Was scary. There were three of us. I was the only one who went through the gate as it was. The river was off to the left of the gate.